Thank you MelanieRadziki McMamus for your fantastic job, We love it!!! Blushing glasses of properly chilled rosé are all the rage in Pamplona, a city where dusty bulls annually thunder along narrow, cobblestone streets amid drunken crowds. Pamplona sits in the Navarre wine region of Northern Spain, one of the most renowned D.O.s (denominations of origin) in the country, and delicate rosés are its specialty. Younger, fruitier wines are the norm throughout much of Northern Spain not only in Navarre, but in the neighboring Rioja region, which is considered one of the most acclaimed wine regions in all of Europe. You’d think such a wine-centric area would be full of established winery tours, but enotourism is a newer concept in Spain. Most wineries are small, family-run operations generally not open to the public and the facilities lack tasting rooms. But wine lovers need not despair. If you want to go sipping through Northern Spain, there are definitely tours available. Knowledgeable Novotur guides uncover the rich religious and political history of northern Spain as you sip numerous fine wines during this four-day van tour. Although the tour can be customized to your liking, some of the famous sites you are likely to explore as you make your way from winery to winery are the 15th-century Cathedral of Royal Saint Mary in Pamplona; Olite’s whimsically-towered Royal Palace, once considered the most luxurious medieval castle in all of Europe; and the Cristóbal Balenciaga Museum in Gipuzkoa, a sure hit with fashionistas. Besides sampling refreshing Pamplona rosés, you sample young, white Txakolis from Getaria (a fruity wine that’s slightly sparkling), and taste the wide variety of wines created in funky-chic Pagos de Araiz, which grows mainly Tempranillo, Cabernet and Merlot grapes, with 150 acres of those grapes surrounding the winery. Before you taste the wines, peek at the owner’s impressive collection of 16th-century statues depicting saints and apostles. The trip highlight is your stop at Marqués de Riscal in the medieval city of Elciego. The estate, dubbed the City of Wine, includes a winery and vineyards, a luxury hotel designed by famed Canadian architect Frank Gehry, plus a restaurant and a spa offering grape- and wine-based treatments. One of the few group wine tours available in northern Spain, this day-long trip through the Rioja Alavesa is offered weekly May through June and September through October. The Rioja Alavesa, a Rioja sub-region, is known for producing fuller-bodied wines than the typical light Rioja blends. During your tour, a local wine expert takes you through three local boutique wineries — a small, family-run winery, a medium-sized modern winery and a medieval underground cellar. You sample some of each facility’s best wines. Think Crianzas (wines aged a minimum of one year in oak and one year in the bottle), young whites, barrel-fermented whites and maybe even an upper crust Reserva, aged a year in oak and two years in the bottle. For lunch enjoy a traditional Rioja meal, most likely boiled potatoes or beans with smoky, paprika-laced chorizo Riojano, followed by lamb chops grilled over grapevine stems. At some point during the tour, stroll through Laguardia, a popular medieval walled town constructed on top of a hill. Laguardia features stone homes and palaces, two churches and a wealth of underground cellars. One of the churches contains a 14th-century, sculptured door painted in the 17th century that still sports its original colors, which is pretty rare. His tours may not have snappy names, but Philip Ross, owner of Iberian Traveler, has created several customizable tours of varying length which are perfect for oenophiles, as the journeys are heavy on the winemaking process. Whether you book a 2-, 3-, 5- or 7-day tour with Iberian Traveler, your days will be structured much the same: a stop at two or three wineries, with a gourmet lunch in between. That may not sound like much, but Navarre isn’t Napa. Wineries are scattered about, not clustered together. 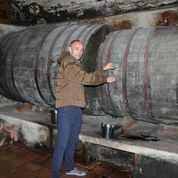 Plus, Iberian Traveler’s tours aren’t quickie “in-and-out” tastings, but full tours where the winemaking process and techniques are discussed. Sometimes platters laden with tapas — or pintxos (pronounced PEEN-chos) as they’re called here — are brought out, and the winemaker joins you. One of Ross’ favorite Navarre wineries is Otazu, which makes prime Rosados and higher-end wines, including what he claims is one of the best barrel-fermented Chardonnays around. The winery has an avant-garde design, and includes a contemporary art gallery. At Ochoa in Olite, the capital of the Navarre wine scene and a walled town famed for its sprawling, Gothic-styled palace, you sample Rosados, Moscatels, Tempranillos and Gracianos. At pint-sized Pago de Larrainzar, where harvesting is done by hand, you can stroll among beautiful vineyards that sit adjacent to the Irache Monastery and the Fuentelateja forest, and very near the famous Camino to Santiago de Compostela pilgrimage trail. Foodiesl love this culinary-heavy tour, which takes you through Spain’s Rioja, Navarre and Basque regions over the course of a week. Most days you tour one or two of the area’s premier wineries, where you learn about modern and traditional winemaking methods as you view production facilities and vineyards. Since you cover several regions and sub-regions, the wines you taste vary. Expect Tempranillo-based reds in La Rioja, ranging from light and fruity to full bodied, but also Rosados crafted from Garnacha grapes and some fine whites. In Navarre, discover a wealth of refreshing rosés, but also sweet Moscatels and some surprisingly good Chardonnay-based whites. Don’t overlook the reds here, either. They may not be the region’s specialties, but many are quite impressive. Wine-tasting is only a small part of this trip. 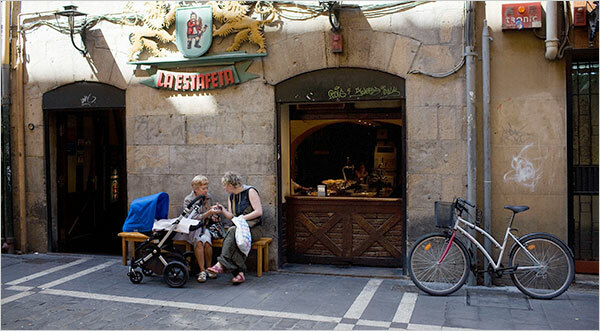 Activities include a guided tour of Dinastia Vivanco, the world’s largest wine museum; a walk through the old quarter of Logroño, the capital of La Rioja; and a tour of Puentelarreina, a medieval town famous for being the spot where two main routes converge along the Camino to Santiago de Compostela, an ancient pilgrimage route. For those who want more, a wine expert is available to instruct guests in wine-tasting techniques and help you discern the unique characteristics of Rioja wines. –Melanie Radzicki McManus writes about active travel and Spain, where she loves to sample the local wines.